Customize a super cute and comfy sweatshirt to wear around town to show off your future MRS status! 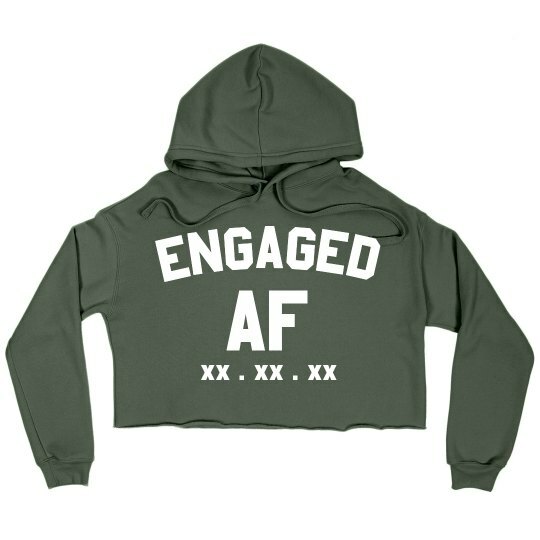 You are engaged AF! Add your personalized wedding date to give this hoodie a one of a kind touch.